A horse-crazy suburban girl for whom horse ownership was once out of reach is now living the dream. 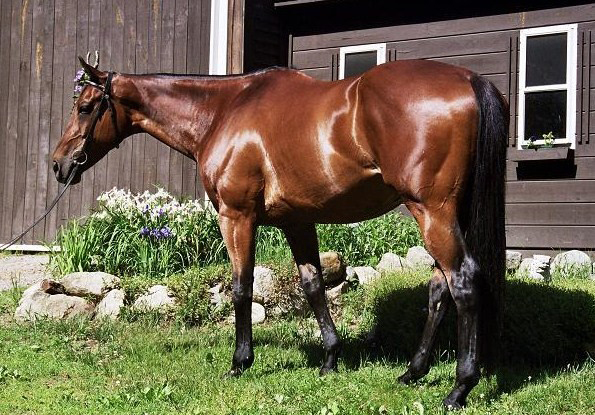 An exercise rider turned off-track Thoroughbred trainer, Wendy Landin parlayed her passion into ownership of a seasoned ex-racehorse, which she purchased from Suffolk Downs trainer Paul Thornton four years ago. The father of T.D. 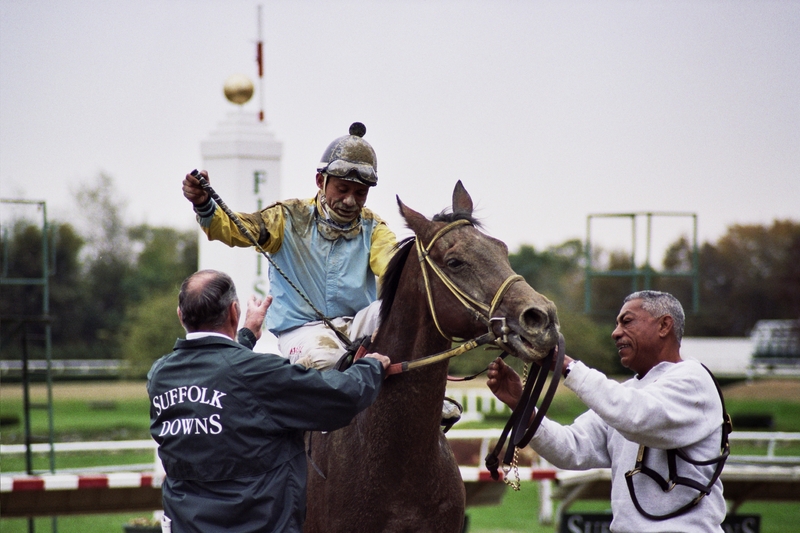 Thornton, author of “Not By A Long Shot, A Season at a Hard-Luck Horse Track,” placed his long serving horse up for sale on CANTER New England’s Trainer’s Listings in 2006. Landin took one look and was soon driving south from her New Hampshire home to the Boston racetrack. Many might pass up a horse with eight years of racing credentials. They’d guess an older campaigner would be unsound and super crazy, she says. “I’ve always had a special place in my heart for the war horses of the track, the blue collar racehorses that go under the radar and run every few weeks, often month after month,” she says. Rasor D raced over 130 times from age 2 to 10, and took home 10 wins, 34 seconds and 20 thirds. “He was still hitting the board and was in impeccable condition, but Paul (Thornton) really wanted to do right by him and let him retire,” she says. Landin eased her way into the horse world at a young age. After seeking out opportunities to work with horses, she eventually found a job at age 15 exercising racehorses in Burlington, Mass. “I’d get up at 4 a.m. before school and ride them around the water tower behind my high school,” she says. 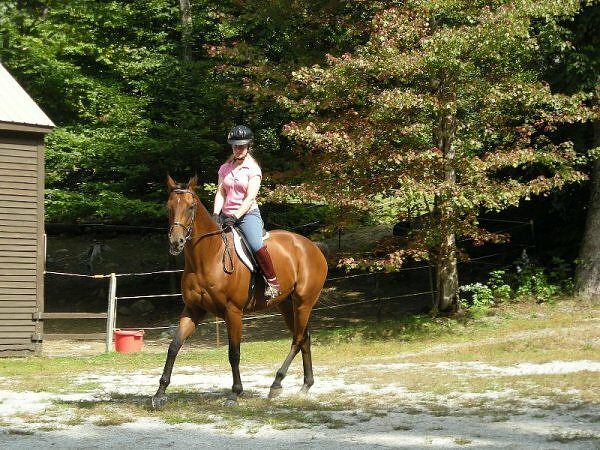 Throughout college she retrained ex-racehorses for a Concord, Mass. farm, where she was also given her first Thoroughbred by her employers. “I just really clicked with them. These horses are like the Golden Retrievers of horses. They’re so people oriented,” she says. Manny and Landin are now bending, and chipping away at ring work. 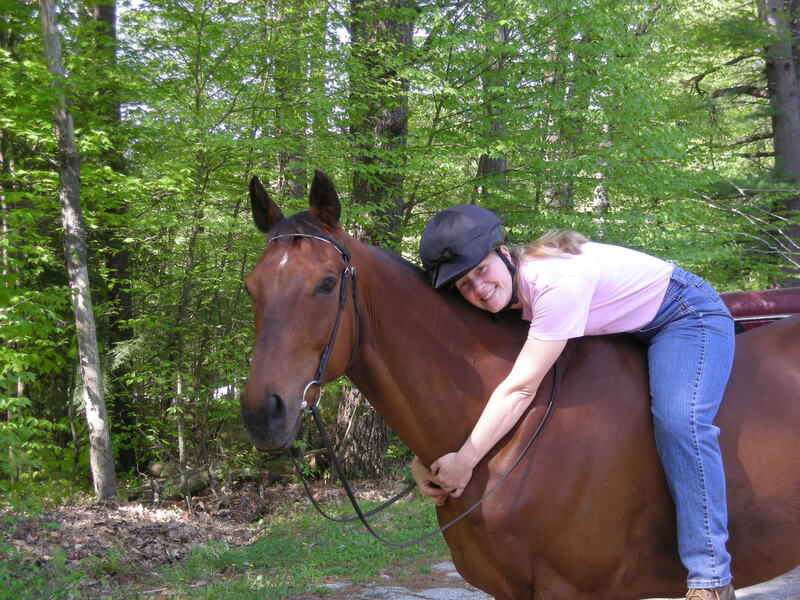 And her goal is simply to enjoy the pleasures of riding one of the great breeds she so admired as a child.